Happy Hump Day! Today is my birthday! 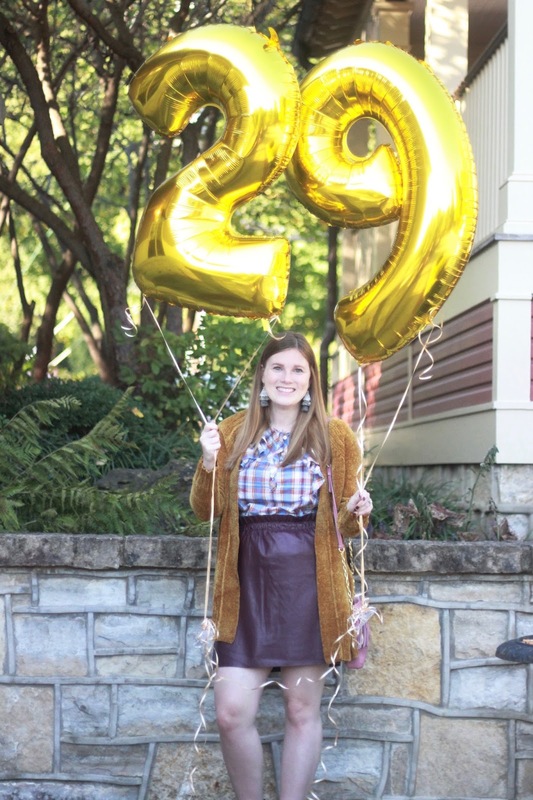 So I thought I would be short and sweet in this post and share 29 things about me. 1. I dislike green beans..I know it is crazy! 2. It may be no surprise to everyone but my favorite food is Mexican. I used to hate it when I was younger but now I absolutely love it. 3. I love mini golf. 4. I've never traveled out of North America. Only been to Mexico. 5. I would love to visit Greece. 6. My favorite go to vacation is the beach. 7. I'm the youngest sibling. 8. I dislike coffee unless it is flavored. 14. I'm a huge snacker- chips or crackers are my weakness. 16. My favorite cake flavor is pistachio ( it was our wedding cake flavor) They even make pistachio muffins and they are so tasty. 17. I am obsessed with halo top ice cream. I always have one or two flavors in our fridge at all times. 19. I'm a huge University of Kentucky Wildcats fan. 20. I hate horror films. 21. I really enjoy rap music. 22. If I had to choose between salty and sweet. I'd choose sweet. 23. I'm allergic to cats. 24. I've been parasailing and I loved it. 25. My favorite pizza is pineapple, cheese, and chicken. 26. I love to get manicures and pedicures. 27. I hate snakes, and spiders. 28. I love Chick-fil-a Diet lemondade. 29. I don't like soft drinks.